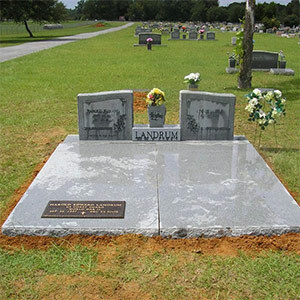 Headstones: At Celestial Memorial Company, you have a wide selection of headstones to choose from in a variety of styles. Each headstone is created from the finest materials and is guaranteed to stand the test of time. Our selection includes bronze, granite, marble and more. Customized engraving: When it comes to personalizing monuments in Lucedale, MS, Celestial Memorial Company is here to help. We work closely with families to appreciate the spirit and personality of their loved one and help them develop a personalized message to engrave. This unique, personal style allows the memorial to offer a glimpse into the life of your cherished loved one. 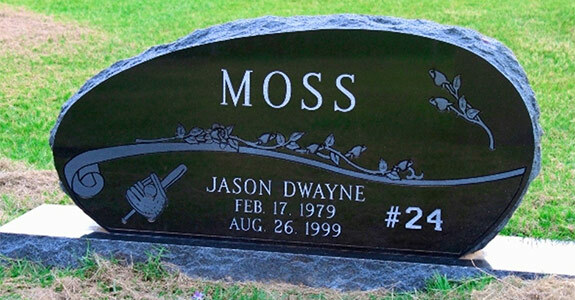 Markers: Not every family wants the same type of marker and so we offer a large selection of gravestone markers in a variety of shapes and styles. Let us know what you’re looking for or browse our inventory of high quality products. Urns: Many families choose cremation for their loved ones and so we provide beautiful urns in which to house their remains. These urns are tasteful and reflect the style and sensibility you are looking for. Pet Memorials: At Celestial Memorial Company, we know that pets can be like members of your family too. Ask us about our selection of beautiful pet memorials. These items are of a high quality and honor your dearly departed furry friend. To learn more about our memorials, call us at 601-766-3288.